On Thursday, June 26th, French Tech Hub and PRIME hosted an event organized by the French-American Chamber of San Francisco on Biotech. 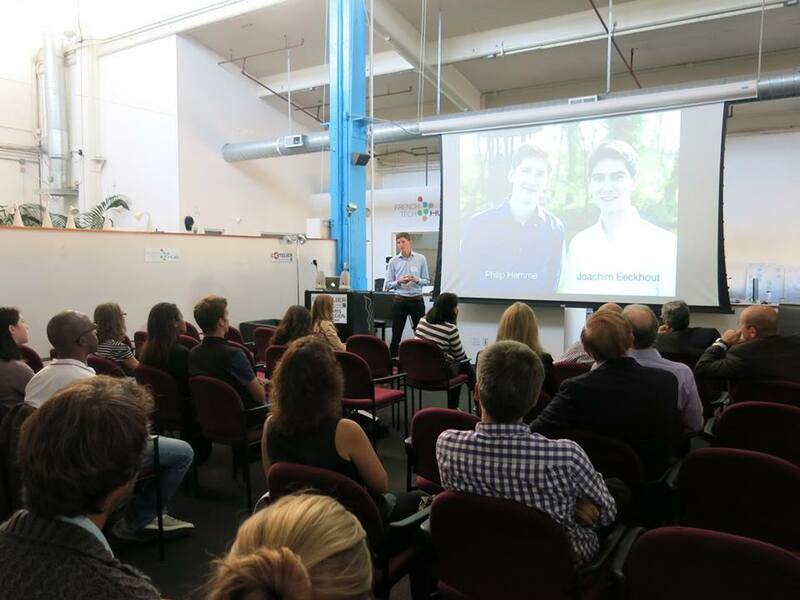 Philip Hemme was here to present the project he started with his friend Joachim Eeckout ‘the Biotech Tour de France’. It all started more than a year ago when they decided to create a website, called La Biotech, to present the French landscape of biotechnologies. Biotech draws more and more interest and investments; this is why it was interesting to promote the French biotech ecosystem. After writing a series of articles to present biotech companies, they decided to move forward by producing a movie. Taking inspiration from the ‘Tour de France’, they took their bikes and rode across France to meet and interview dynamic biotech companies. The result is a movie called ‘Le tour de France de la biotech’ that the team is now presenting in Europe and in the USA. Thanks to the success of this first movie, Philip and Joachim are now working on an overview of the American ecosystem. And who knows, maybe China will be their next place of choice.